The training algorithm studied in this paper is inspired by the biological metaplasticity property of neurons. Tested on different multidisciplinary applications, it achieves a more efficient training and improves Artificial Neural Network Performance. 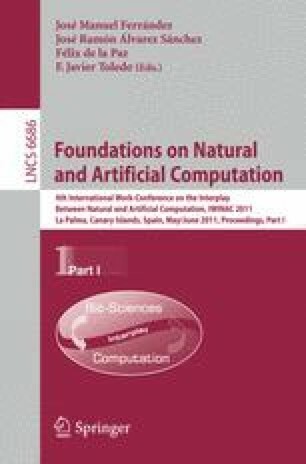 The algorithm has been recently proposed for Artificial Neural Networks in general, although for the purpose of discussing its biological plausibility, a Multilayer Perceptron has been used. During the training phase, the artificial metaplasticity multilayer perceptron could be considered a new probabilistic version of the presynaptic rule, as during the training phase the algorithm assigns higher values for updating the weights in the less probable activations than in the ones with higher probability. This research has been supported by Group for Automation in Signal and Communications, GASC/UPM.